Is climate change really happening and does it matter? The answer from the scientific community is a resounding yes, yet debates about the reality of climate change and what measures to take are slowing our response. Barrie Pittock, one of the world's leading climate researchers, argues that we need to act urgently to avoid increasingly severe climate change. He looks at the controversy around global warming and other predicted changes, examining the scientific basis of the changes observed to date, how they relate to natural variations and why the evidence points to larger changes later this century. The effect of these changes on our natural systems and our lifestyles will be considerable and could include wild weather, shifts in global ocean circulation, decreases in crop yields and sea-level rises. But the impacts won't be distributed evenly: some countries will suffer more than others. 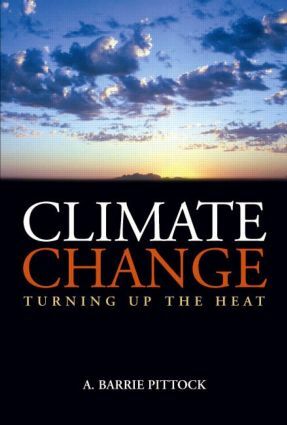 Climate Change: Turning up the Heat explains how our attitudes to risk and uncertainty � constant companions in life � influence our decision making and, ultimately, how much we and future generations stand to lose from rapid climate change. It outlines the current concerns of the major international players and reviews the response to date, detailing national interests. Importantly, it shows there is real hope of managing climate change and minimising the risk of disaster if we step up efforts to develop and apply innovative technological and policy solutions.